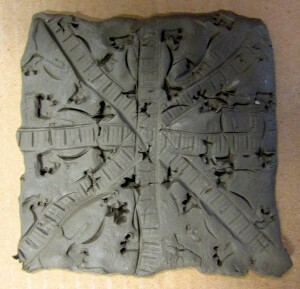 At this week’s Pelham Art Club, we used air-drying clay to make patterned tiles. Our designs were inspired by the work of Bridget Riley, an artist who loves playing with optical illusions. 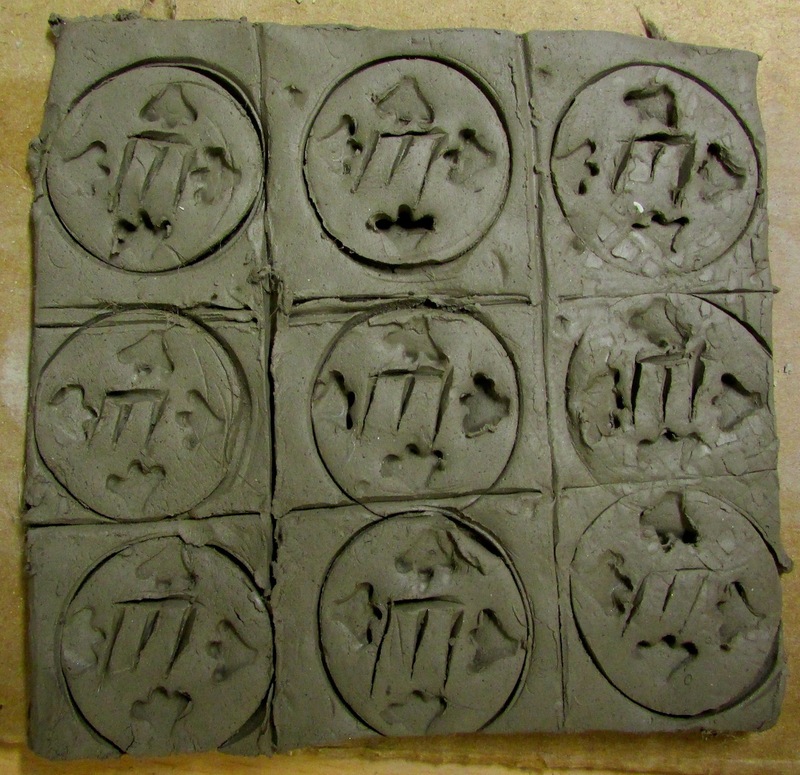 We were also influenced by the geometrical designs used in Islamic tiles. 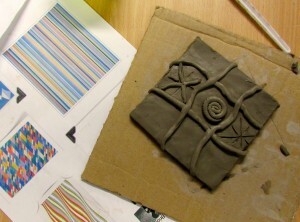 Work began, as usual, in our sketchbooks, experimenting with patterns. 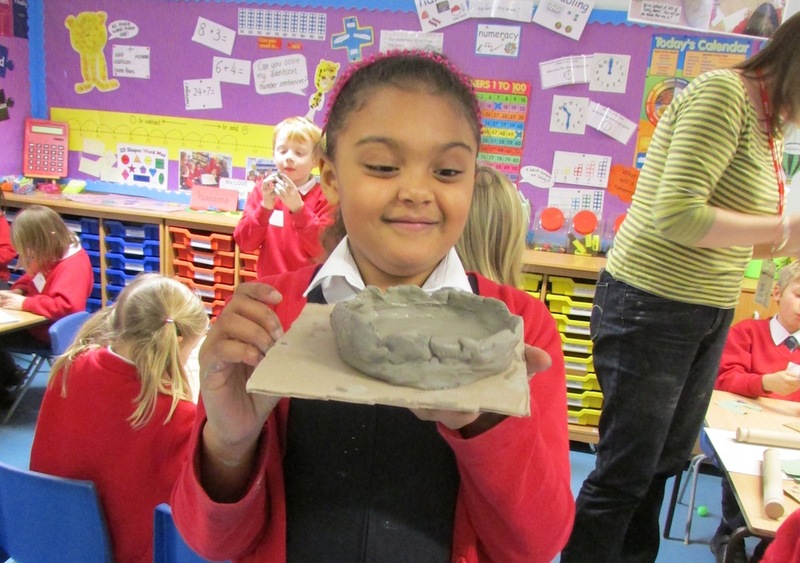 Once we were happy with our designs we started rolling out our clay. 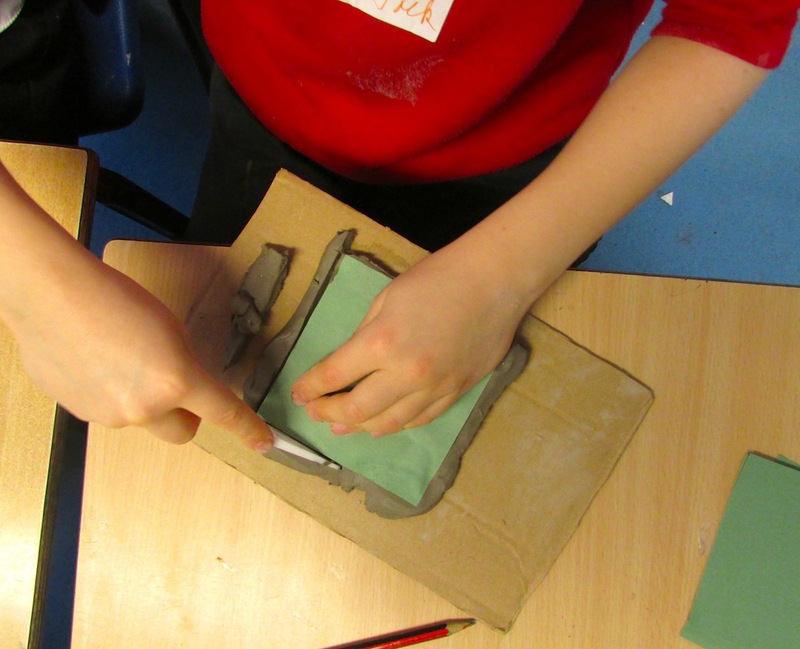 We took care to create an even thickness, which was surprisingly tricky. 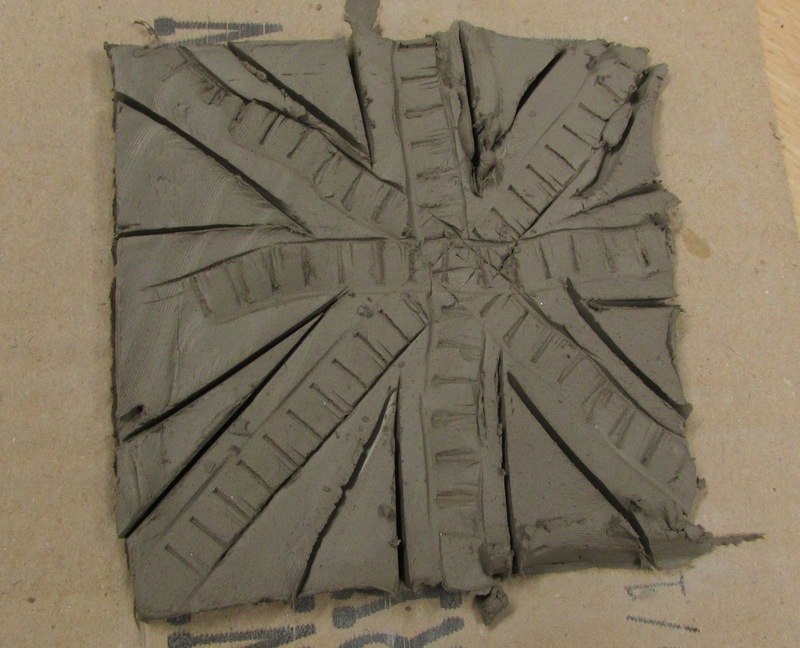 When the clay was ready we cut round templates to make our tiles. 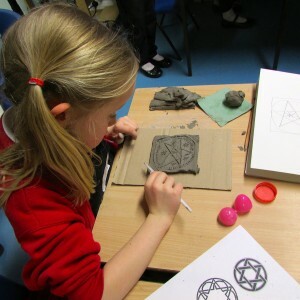 We then used a variety of different objects, implements and techniques to bring our designs to life. 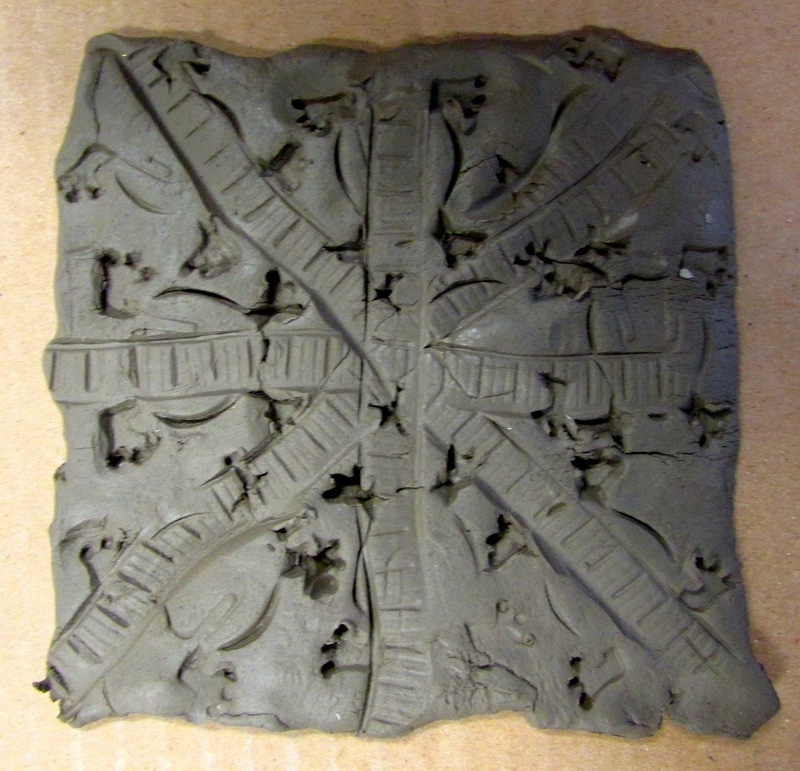 Some people chose to add bits onto their tiles to create relief patterns. 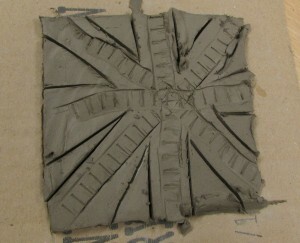 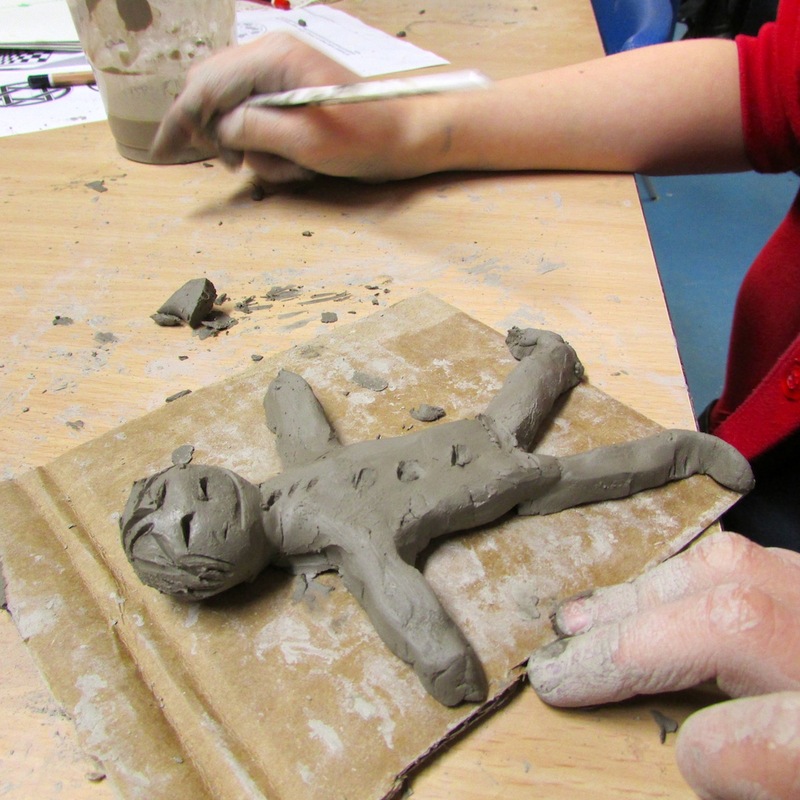 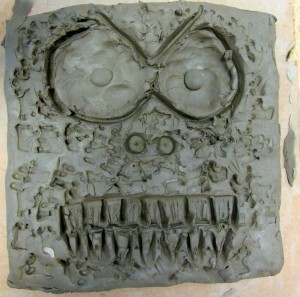 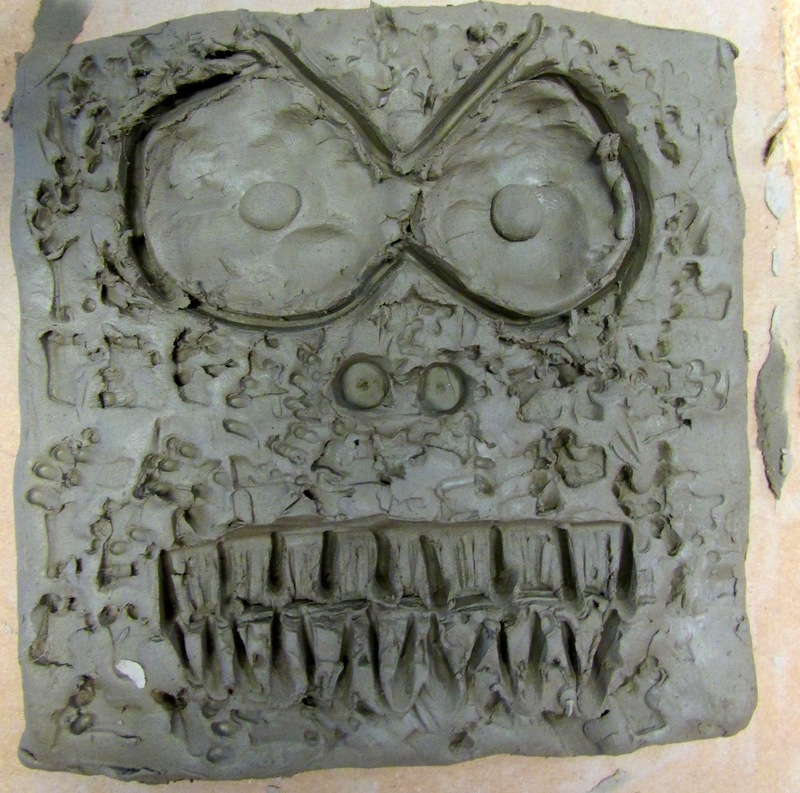 Others scored designs into their clay to create interesting textures and effects. 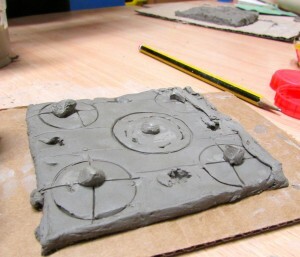 Some people combined scoring with making marks with other objects, such as buttons, beads, doilies, bottle-tops and even some plastic frogs from an old board game. 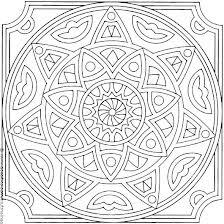 Look carefully and you’ll see their footprints. 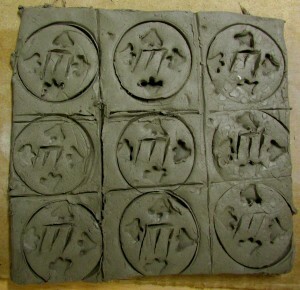 The finished tiles were put aside to dry. They’ll harden nicely over half-term, ready for painting. We also had time at the end for a bit of freestyle modelling. 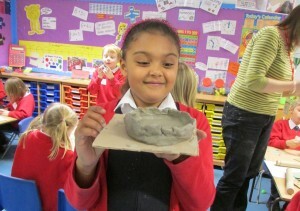 Children made some wonderful pinch pots, cups, figures, trees and even a plate of sushi, which we’ll show you next time.